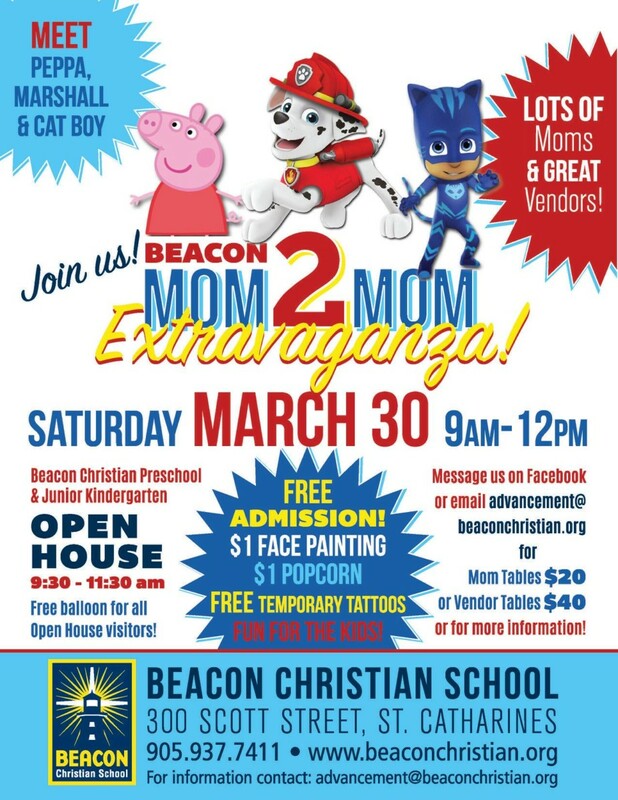 Join us for Beacon’s Mom2Mom Extravaganza! Saturday, March 30th from 9 am to 12 pm. Interested in having a Mom Table $20 or a Vendor Table $40 at our event? Email: advancement@beaconchristian.org for more information.